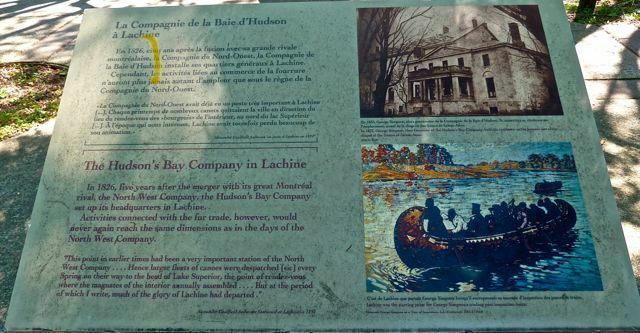 Continuing on to the town of Lachine we toured the Hudson Bay Company original warehouse. 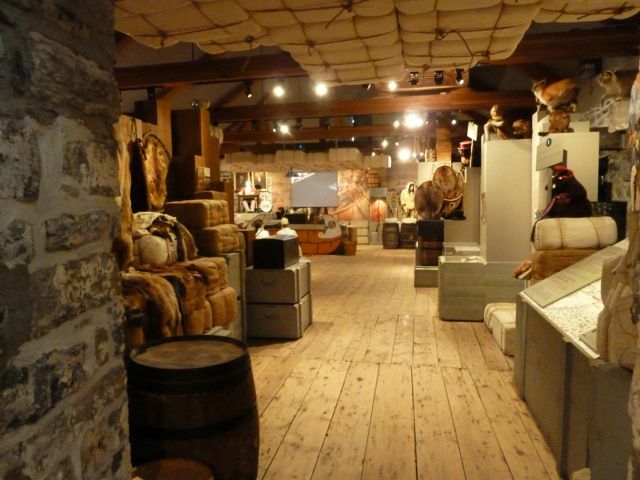 The warehouse was built in 1803 by the Northwest Company and later acquired by HBC in 1833. 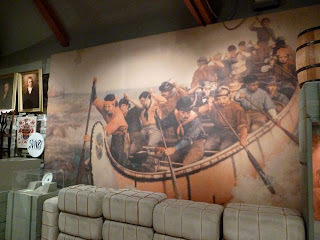 There is a nice museum housed in the building. 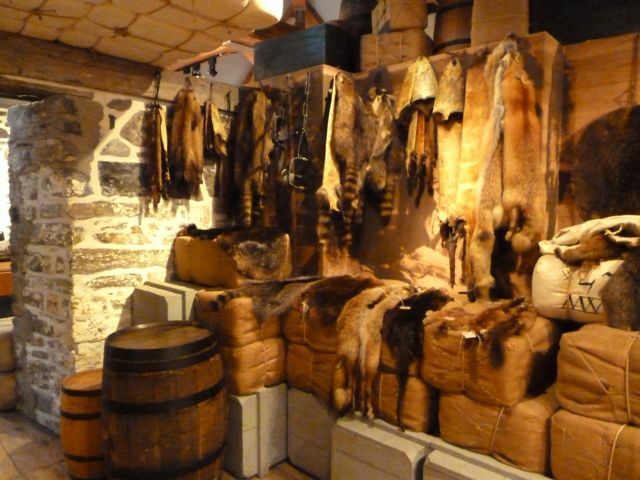 The fur trade was strong for over 200 years. 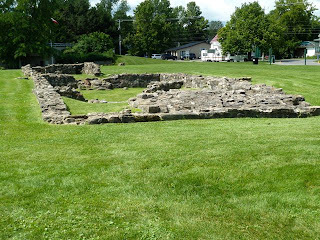 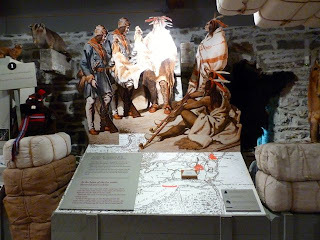 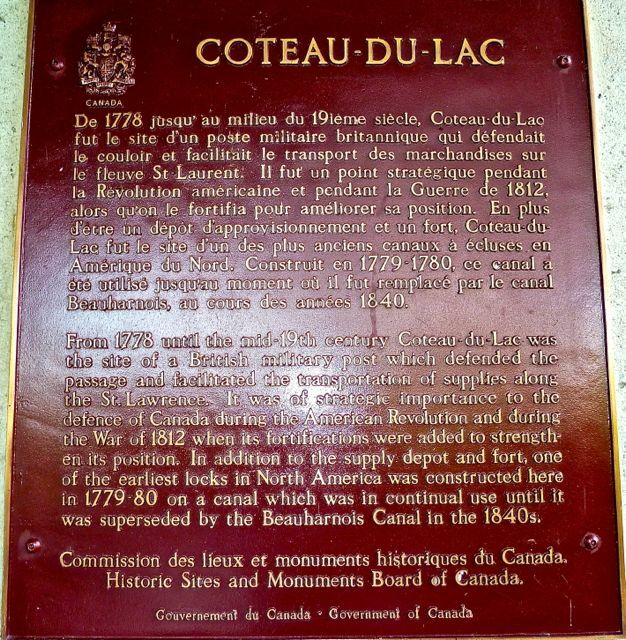 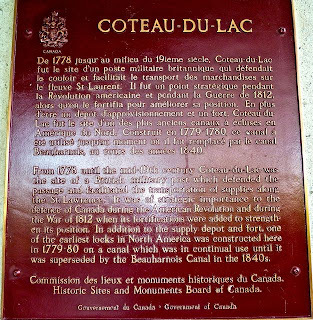 Also in the town of Lachine was the 1689 massacre when 1500 Iroquois descended on the area. 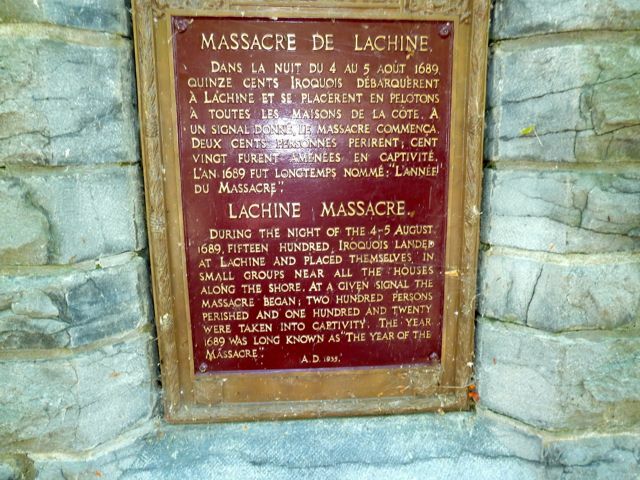 Over 200 townspeople were slained and 120 taken captive. 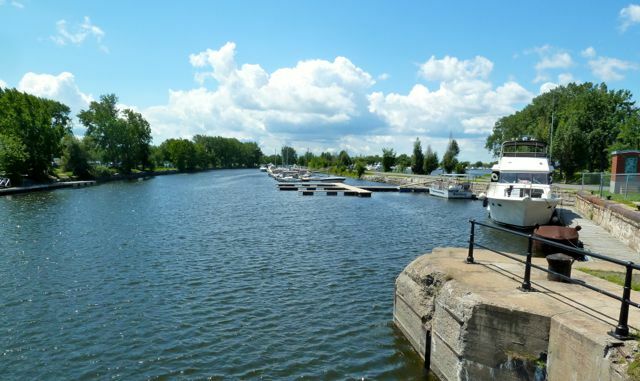 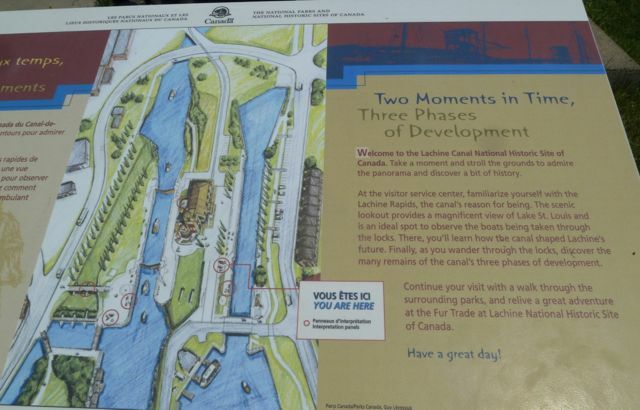 We then walked along the Lachine Canal, ate lunch and continued on to L'ile Sainte Helene in Montreal. 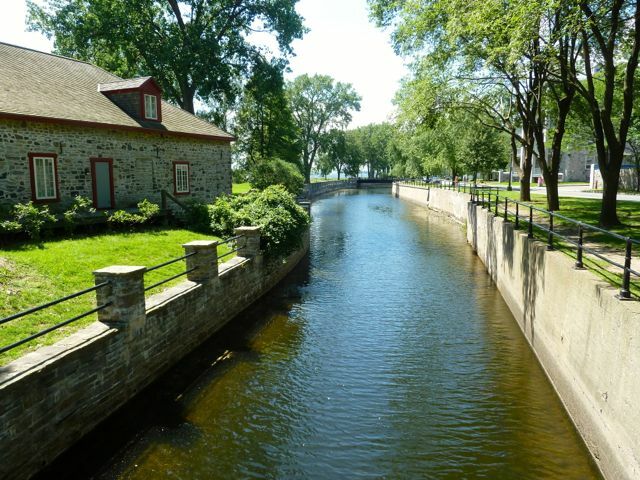 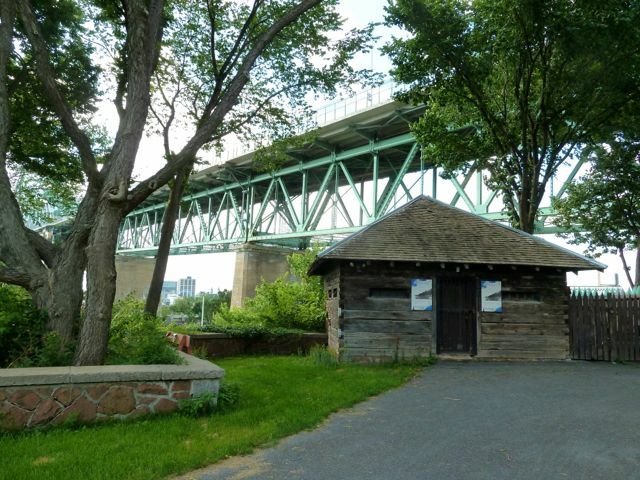 L'ile Sainte Helene also known as Parc Drapeau is located across from Montreal. 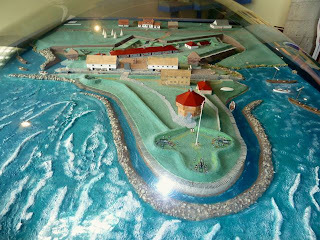 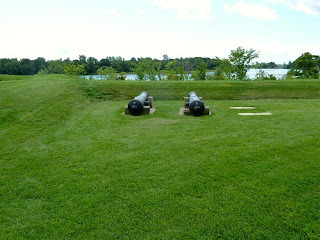 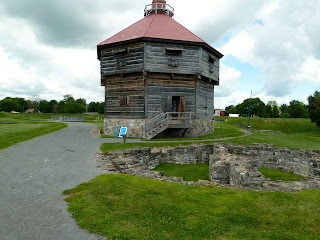 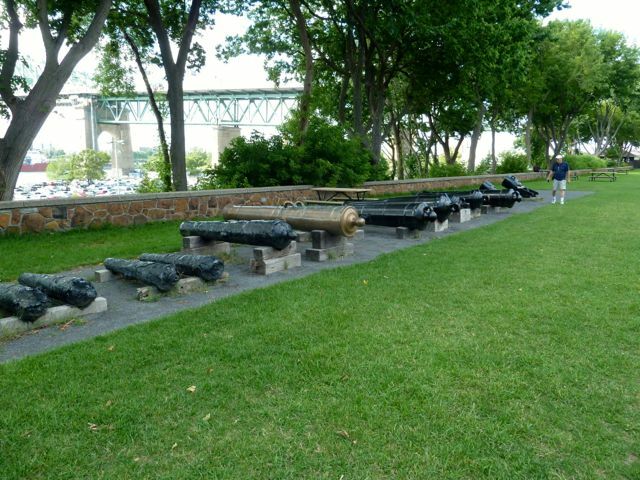 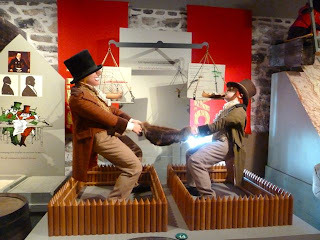 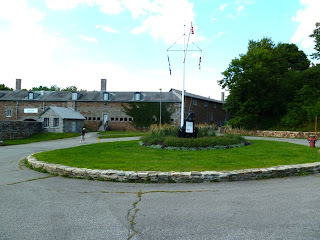 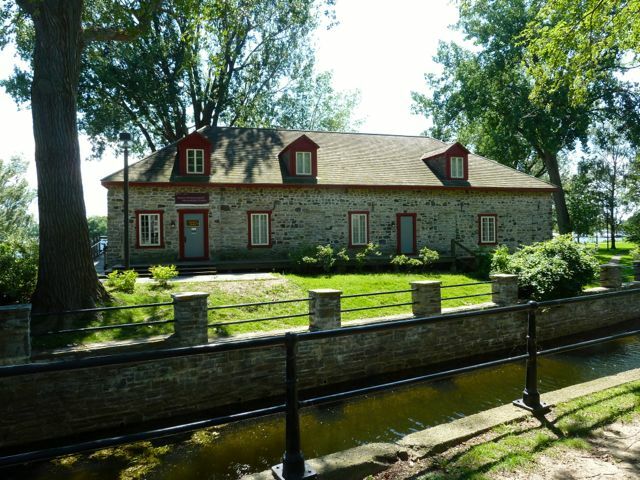 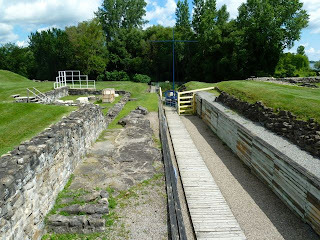 Our purpose for visiting was to tour the British Arsenal and fort built in 1820 to replace the destroyed Montreal Citadel as a defensive chain to protect Canada from the threat of American invasion. 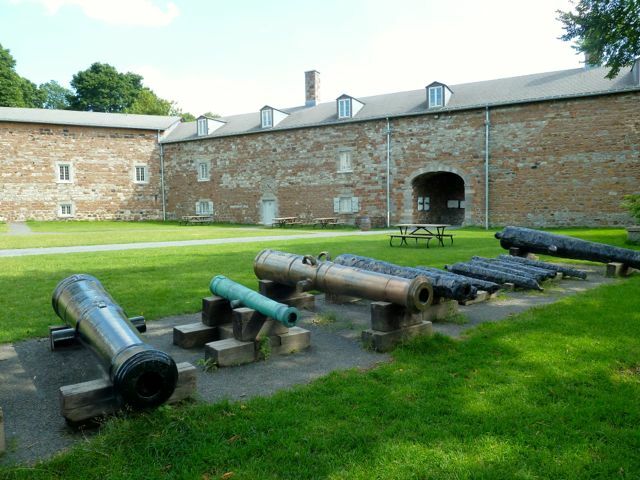 It served as an important central artillery depot for all forts west. During WWII it was used as an interment camp for Italian Canadians. 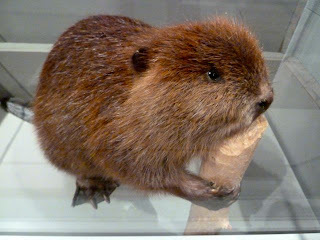 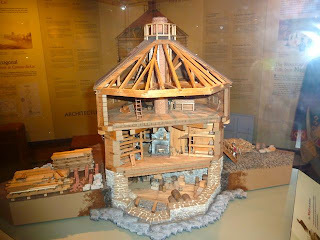 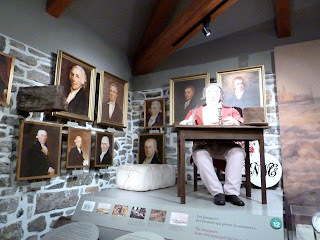 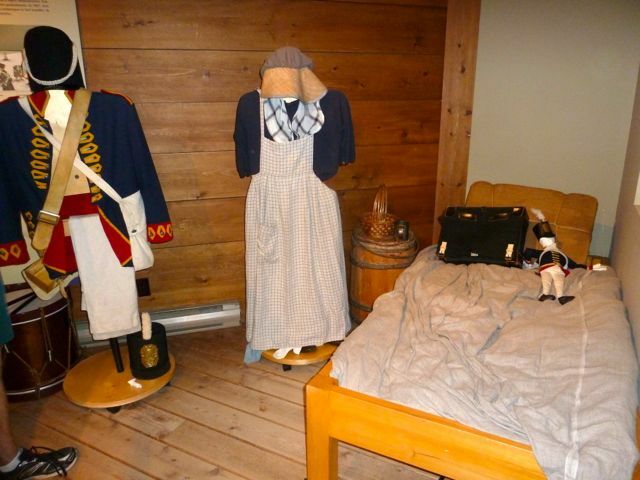 Today it is home to the David Stewart Museum founded in 1955 housing artifacts from the 16th through 19th centuries. It is said that the site is inhabited by ghosts of 800 soldiers killed when their general put them in the line of fire of enemy sharpshooters. 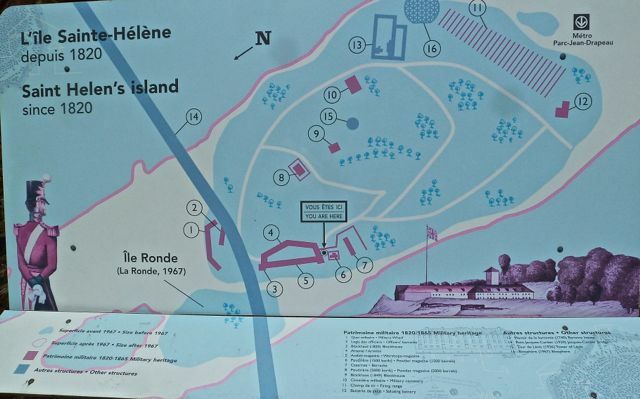 They are buried in a mass grave on the Ile. 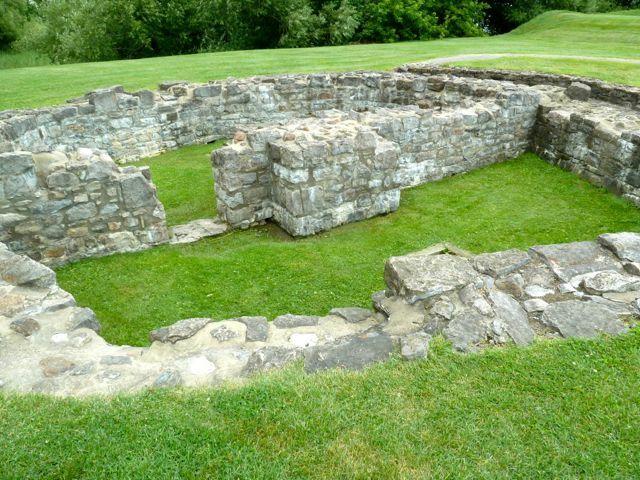 Their ghostly footsteps are heard, objects disappear and put in other places, light anomalies and disembodied voices. The museum was closed so we will return tomorrow. Returning back to camp we stopped at Costco for supplies.